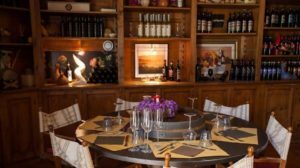 The structure, dating back to the 1100s, has been refurbished, but preserves all the ancient flavors of the best traditions. Around the agriturismo, where oil has been produced since the 1300s and is located in the center of the vast estate, there are independent rooms and apartments furnished with antique and rustic furniture, exposed beams on the ceiling and terracotta floors that make all the rooms very welcoming and refined. 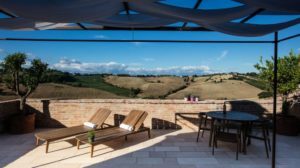 The accommodation also has an in-house restaurant where you can taste the palate with typical Tuscan recipes and the tasting of fine wines produced locally.